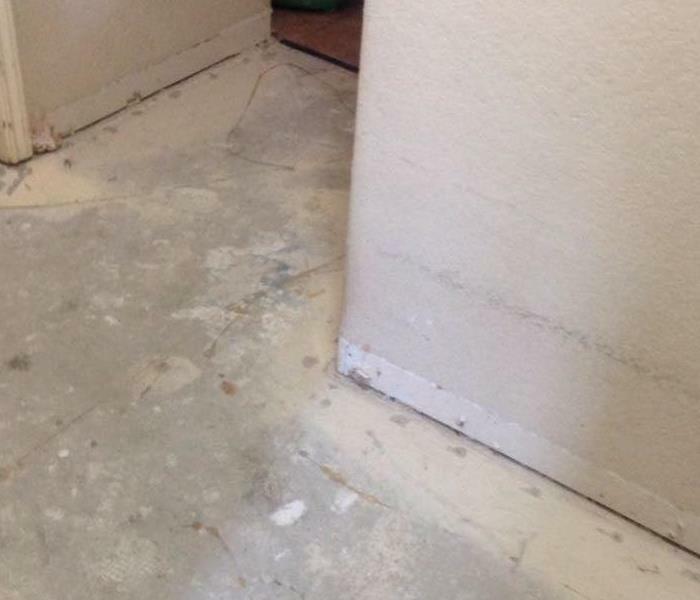 In San Marcos a homeowner called for services to remove sewage from their bathroom. 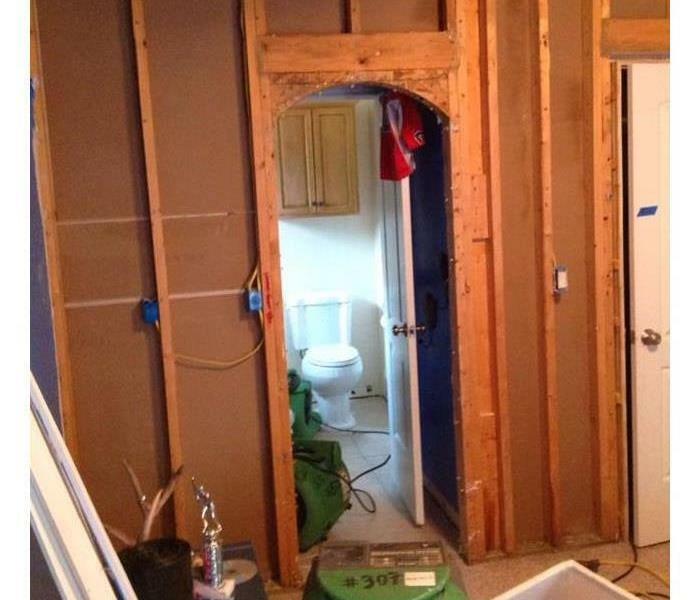 They had sewage back up into their bathroom due to high waters in the area. 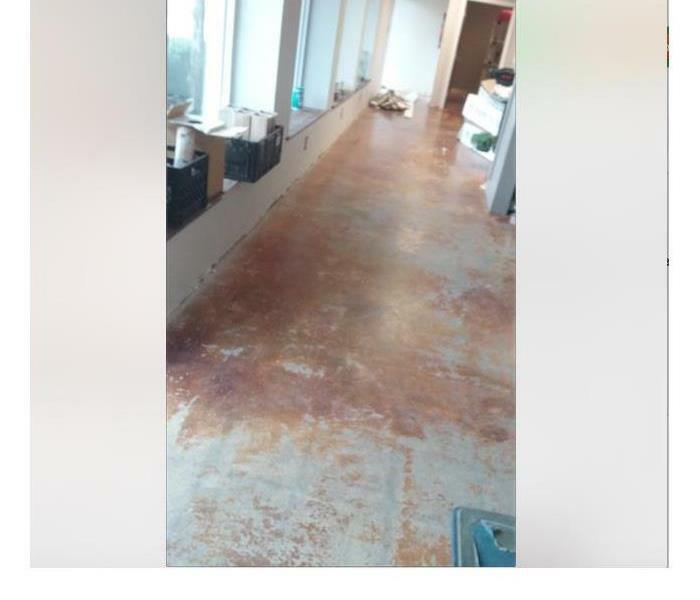 SERVPRO of San Marcos/New Braunfels was able to handle this job efficiently. It is important to remove all wet and damaged materials from an area. SERVPRO of San Marcos/New Braunfels has the experts who can help you get through any disaster that may occur. Let us help! This San Marcos, TX, home had their roof damaged by a bad storm. We came and removed the damaged drywall in the ceiling in order to have it dried. If your home suffers storm damage call SERVPRO of San Marcos/New Braunfels at (830) 625-0578. 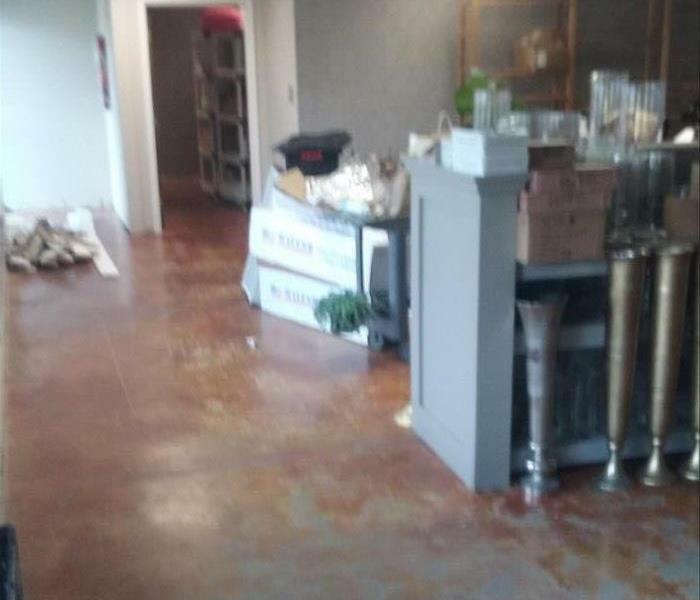 Our team was called out to this commercial facility to clean up after a large water loss. As you can see, the carpet was still soaked when we arrived. We got them back up and running quickly. This structure was damaged by water when a pipe broke. Our team was there quickly to repair the damage. No matter when disaster strikes, we'll be there. Just give us a call. We are faster to any size disaster. 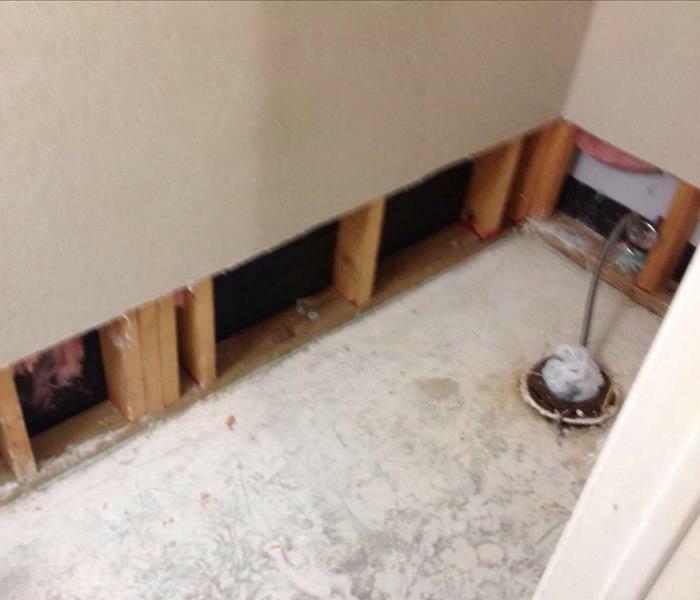 We performed the flood cuts you see pictured here to help remove damaged material and gain drying access to the wall after this home was damaged by a water loss. If you have a water loss, give us a call. When this home was damaged by a water loss, our team was contacted to clean up and repair the damage. 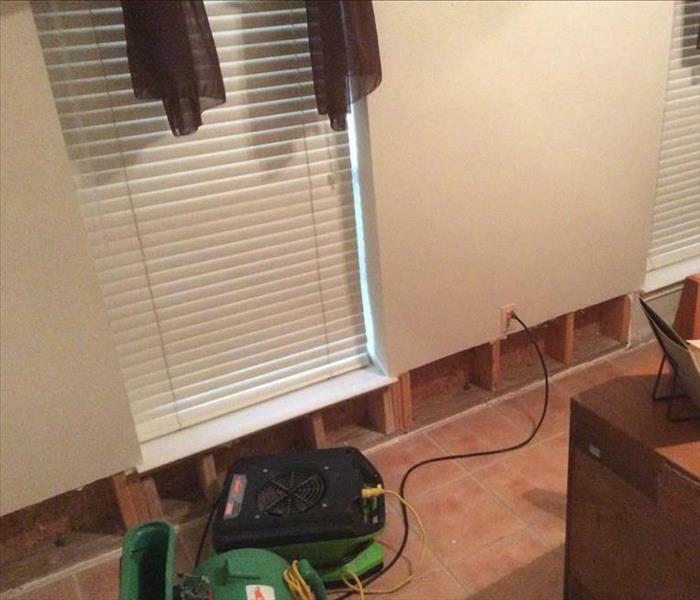 We performed flood cuts and used drying equipment to help dry the home more quickly, as you can see here. 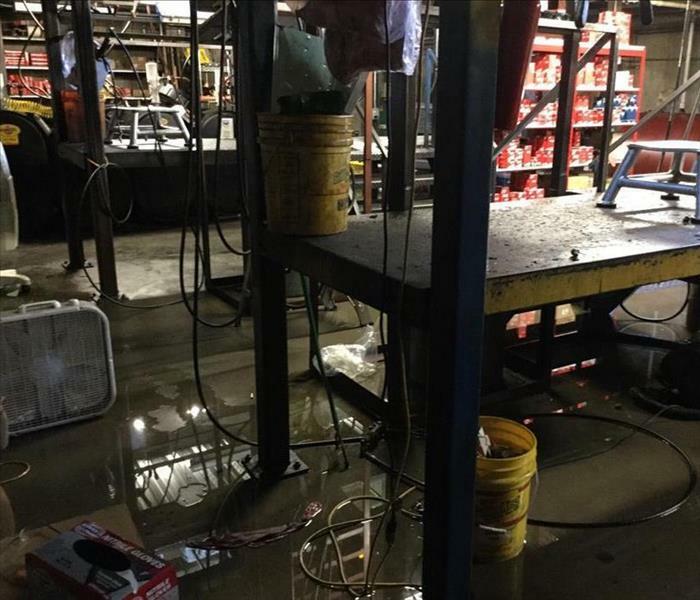 Heavy rains caused this shop to flood and our team was called on to take care of the repairs. The first thing we did on arrival was work to extract the standing water from the building. 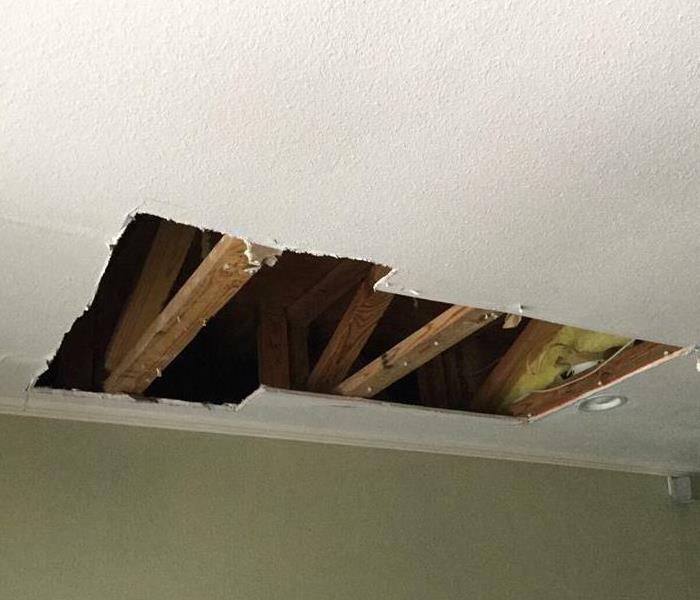 This home had a pipe leak upstairs that caused damage to this ceiling. 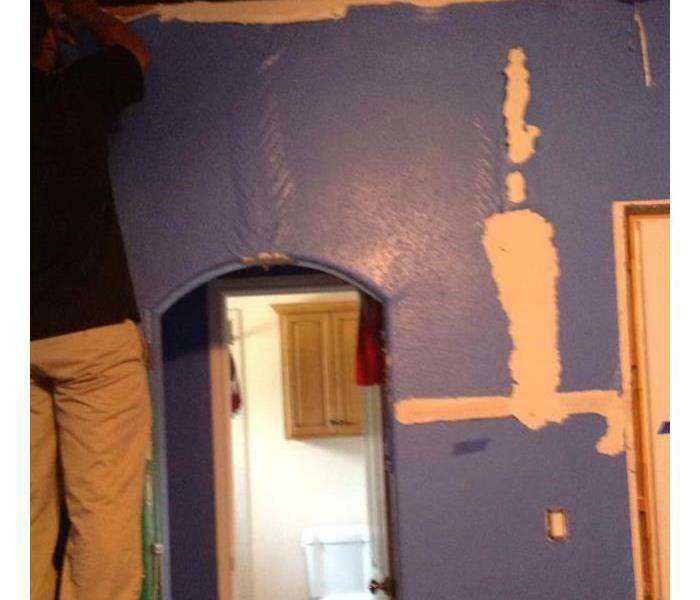 We were brought in to repair the damage and we had to cut part of the sheetrock out to make the repairs. 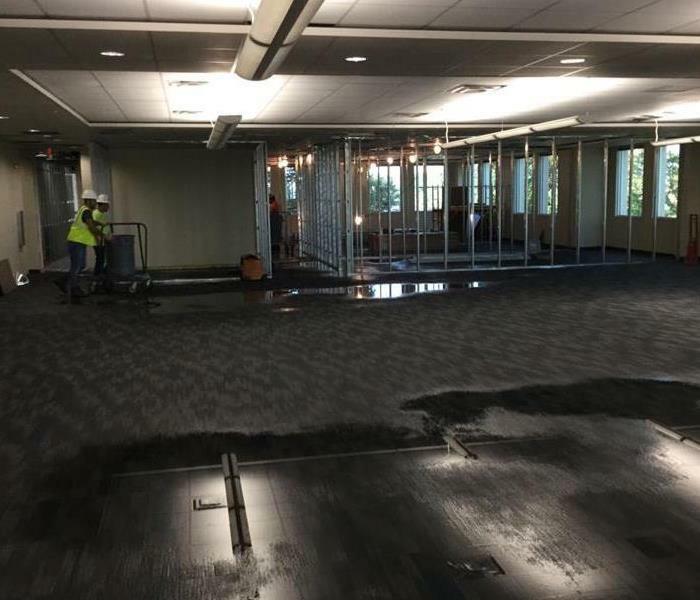 This facility was damaged by a large water loss and our team was quick to respond to the call to clean up and repair the damage after the disaster. If your business has a loss like this, give us a call! 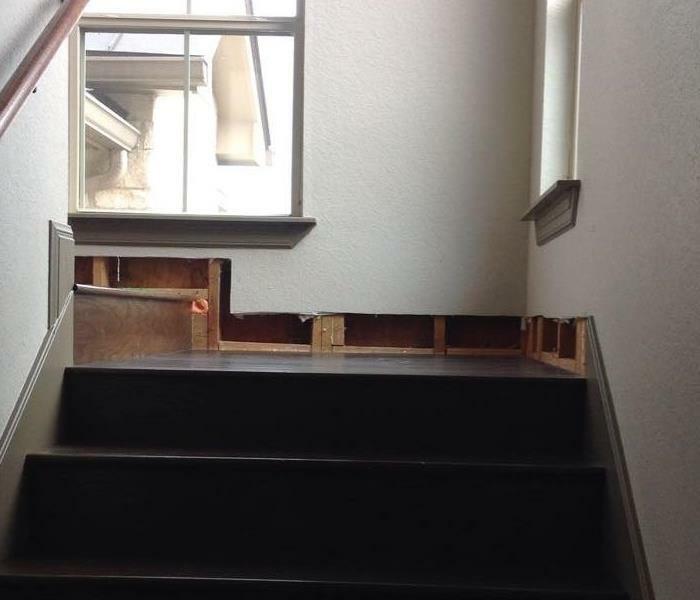 The flood cuts you see on the stair landing in this image were made to allow us to remove wet, damaged material and give us drying access to the wall. If you have a water loss, call us! As you can see from this image, there was a lot of water still standing in the floor when we arrived. 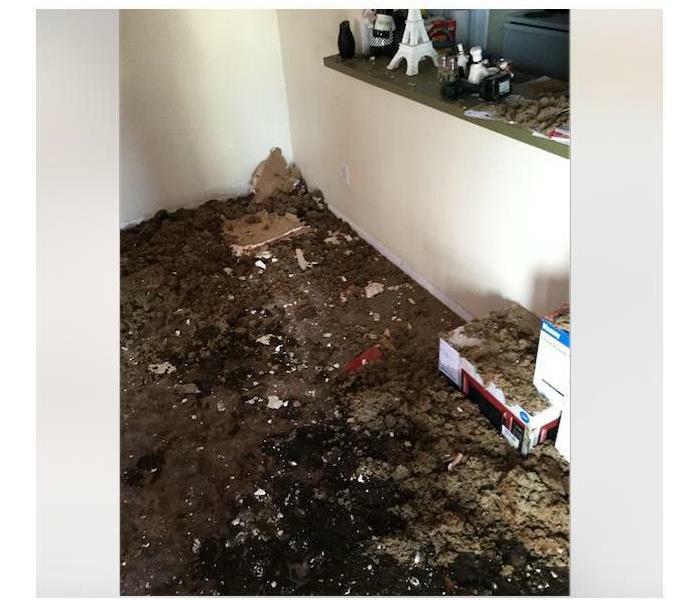 This was the result of a water loss in the home. If you have a water loss like this, give us a call! 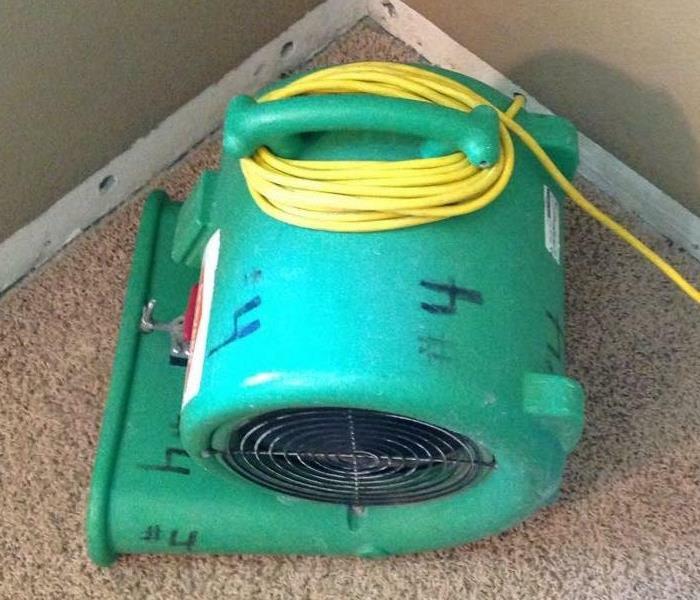 Air movers like the one pictured here used with other drying equipment help to speed up the drying process. Drying moisture quickly is important because if moisture is left for too long, secondary damage can occur. When our team arrived at this home, there was still water standing in the floor from a water loss that impacted the structure. We were able to get the home dried and repaired in a short amount of time. 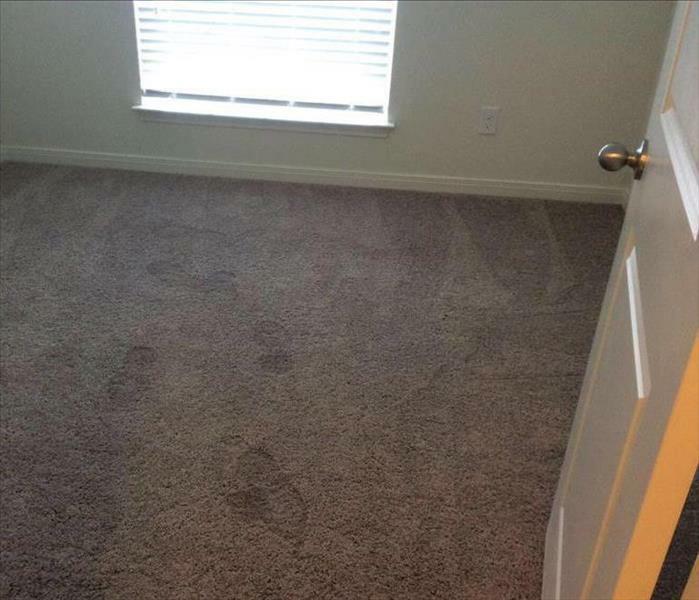 This carpet in this image was soaked when this home was affected by a water loss. 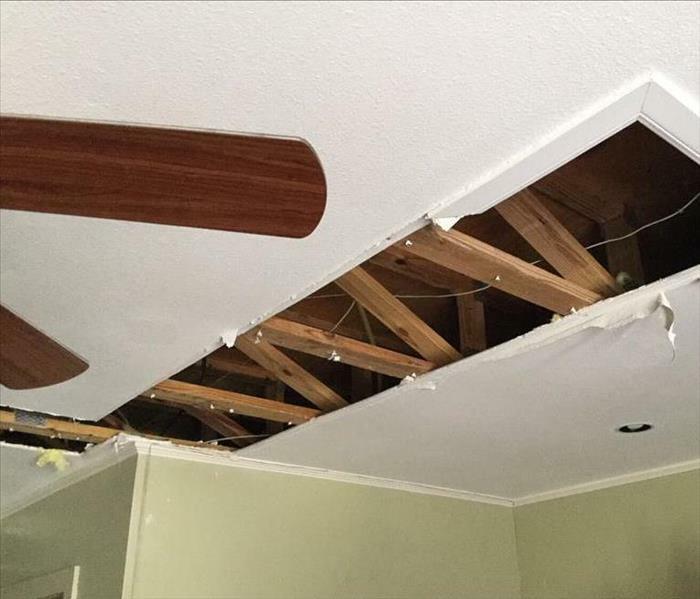 If your home suffers damage like this, just give us a call. We are faster to any size disaster. 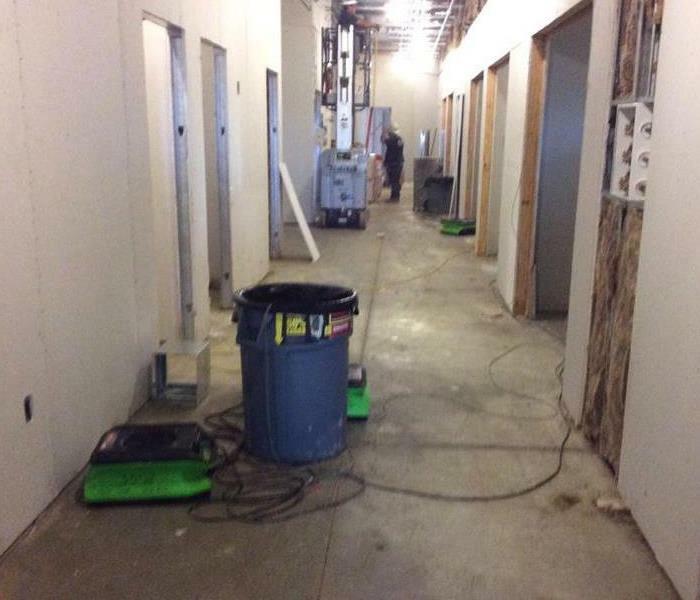 This facility was flooded and our team was called in to handle the cleanup and repair. 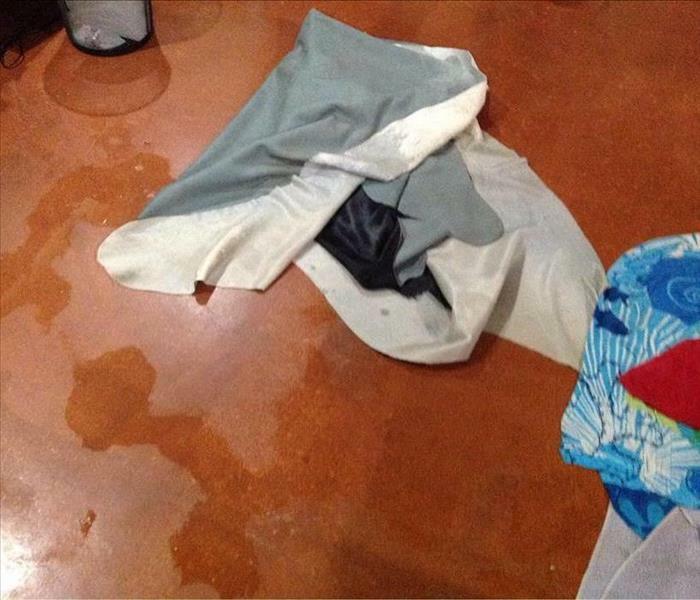 As you can see, there was a lot of water in the facility when our team arrived. We immediately got to work extracting the water. Our team was quick to respond to the call to clean up this home after it was flooded. In this image, you can see some of the drying equipment we brought in to help the moisture evaporate more quickly. 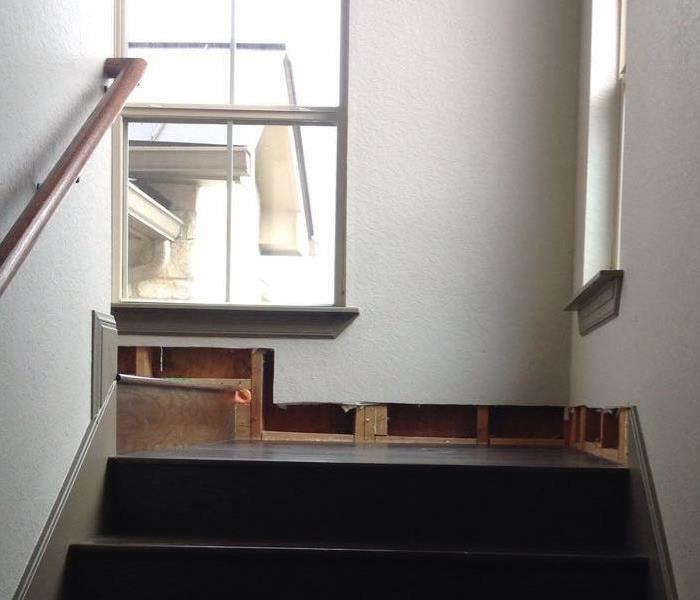 When your home has been damaged by flooding from a water loss, sometimes you will see us make cuts in the wall just above the flood line, as you see pictured here. 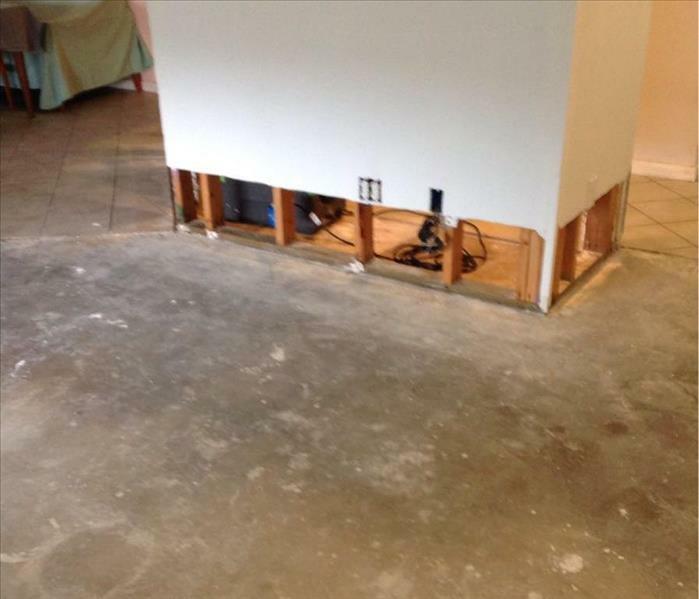 These are called flood cuts and they allow us to remove and replace any damaged drywall and insulation in your home. When severe storms dropped heavy rains on our area, the storm drains outside this structure became blocked with debris and began to back up into the structure. This resulted in the flooding you see pictured here. 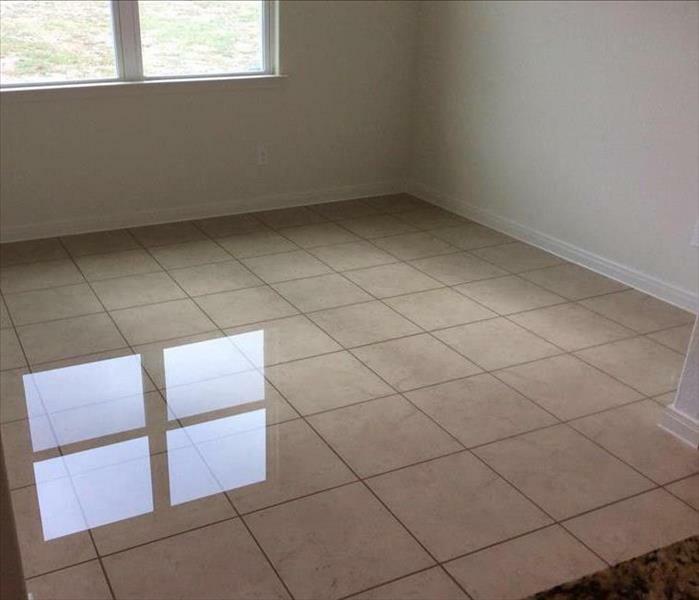 This home had water damage to the entire home. As you can see here, the carpet was extremely flooded and the water needed to be extracted. Once all of the water was removed, the drying process was able to be complete. This home had microbial growth in the walls and on the carpet. SERVPRO was quick to respond and get the growth tested to determine the best course of treatment. 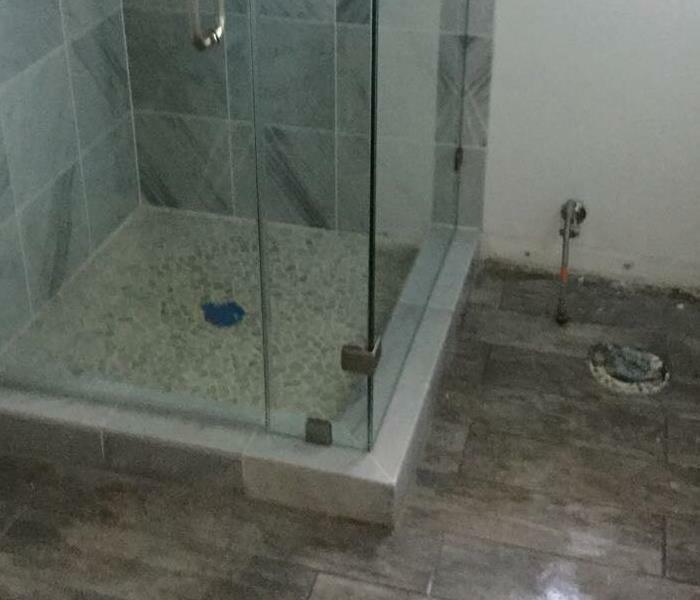 SERVPRO was able to handle the job from start to finish. This home had a significant amount of flooding. SERVPRO was quick to respond and begin the mitigation process. 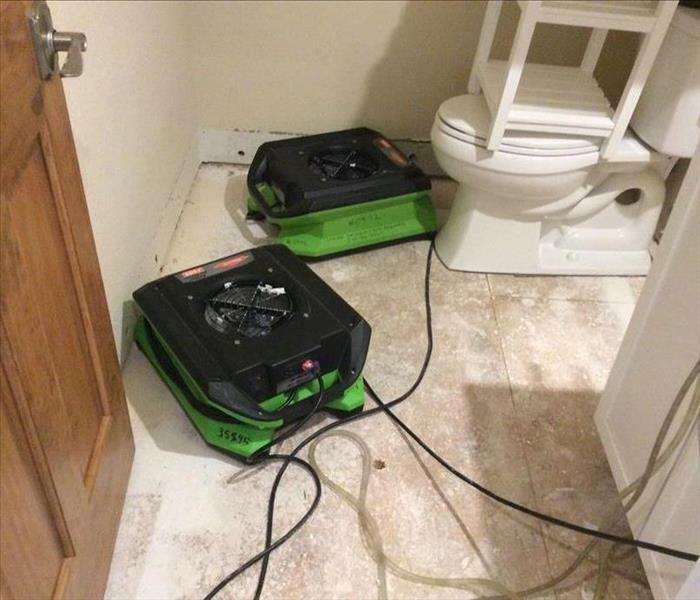 Once all of the water was extracted, SERVPRO was able to place drying equipment to get the bathroom completely dry. SERVPRO has trained technicians that can use professional equipment for all your restoration needs. This is a humidifier that helps take the moisture out of the air after a water loss. It is important to use after damage to prevent future loss to your home or business. SERVPRO can respond to any type of restoration need in your home or business. This is a picture of Mold Remediation when arriving on scene. They have professional technicians who can clean the area effected and return to pre-mold conditions. SERVPRO has the professional personnel and equipment for any storm damage. Storms can cause more then just rain and wind damage. We have a disaster recovery team who is ready anytime you need for your storm damage needs. SERVPRO responded to this property after a severe storm. The area was ruined by rain water. They immediately began to extract water to reduce future water loss. They have the expertise to remove all damages and begin restoring back to normal conditions. SERVPRO has the expertise and equipment to get you back in your home or business quickly. This is the after picture of a house fire when arriving. The technicians can begin clean up quickly, retuning to pre-fire conditions. Fire can cause more then just smoke and soot damage. Water damage can also destroy drywall from the water after fighting the fire. SERVPRO has professional technicians that are trained to come in and tear out old drywall and dry for reconstruction. SERVPRO responded to this home finding Mold damage under the sink. They have professional equipment for drying the area affected and ensuring the moisture is gone to stop the mold from growing. They also have the expertise to clean the area effected by the mold. SERVPRO can respond to any type of Mold Remediation. They have professionally trained and expertise to take on any Mold. Mold can grow quickly so it is important to respond quickly and begin professional clean up techniques that SERVPRO provides. SERVPRO can respond to your residential or commercial property for your emergency. They respond quickly and begin to work. They can assist in water, fire, mold, and storm damages. The technicians are trained in a variety of cleaning techniques to meet your needs. SERVPRO can respond to your home for any water loss restoration needs. 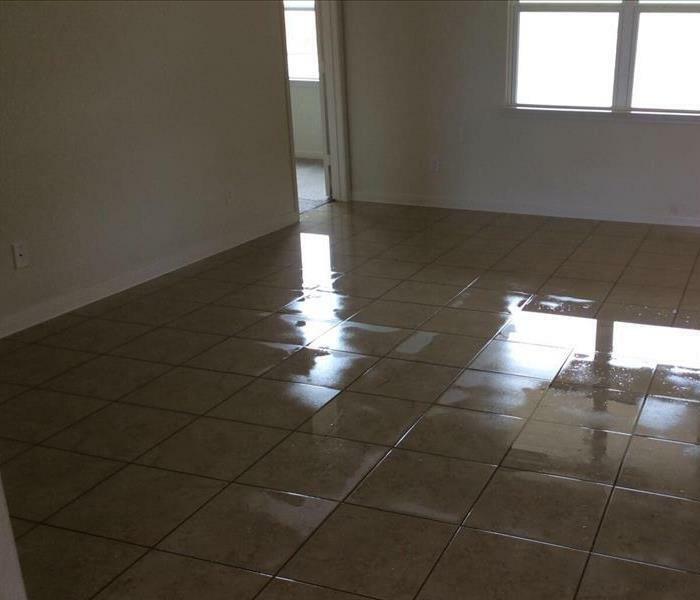 They have trained water damage specialist who arrive to your home and assist with your needs. They have professional cleaning equipment to extract the water and tear up damaged floor to replace with new. SERVPRO can respond to any restoration emergency such as fire, water, mold, or storm. They have the building and reconstruction services to ensure your home is built back to preloss conditions. They can board up windows, tarp roofs, removal and dispose drywall etc. SERVPRO responded to this home which suffered loss from storm waters. They can ensure the property is boarded up or tarps put down on the roof to keep the water out preventing any further water loss. This is the aftermath of a house Fire. SERVPRO has the expertise for all your fire restoration needs. There are steps the technicians take to ensure every detail is taken care of to restore your home back to pre-fire conditions. This is a picture of a professional humidifier used to take the moisture out of the air after water loss. SERVPRO can equip your property with the right equipment every step of your restoration clean up. SERVPRO can respond to your severe storm emergencies. The team is always ready to respond to lessen the chance of loss from water and wind. They have professional equipment for water and have the materials to board up any windows damaged from winds. SERVPRO has experienced and professional technicians for your storm damage clean up. We have commercial equipment for extracting and drying water. Water can cause loss if not responded to immediately. Our team can respond any time. Severe Storms can cause water loss along with structure loss. SERVPRO has trained experienced technicians that can respond to storm loss. The disaster recovery team is ready to respond 24/7. Contact SERVPRO at (830) 625-0578. Fire Damage can cause multiple losses to your property. SERVPRO can inspect the area along with clean up process and validation of completion. The technicians are professionally trained in all areas of restoration and professional cleaning. Fire can cause more then just smoke damage it can also cause water damage from fire fighters response. SERVPRO can respond to your fire emergency any time. They have the expertise to remove the damage and put it back to pre-fire conditions. This is the after picture of a home with fire loss. SERVPRO can respond to your fire and start the clean up process. They have professionals who can come tear down drywall and professionally clean your belongings. SERVPRO has the expertise and professional technicians to ensure your property is safe from water damage after a storm. 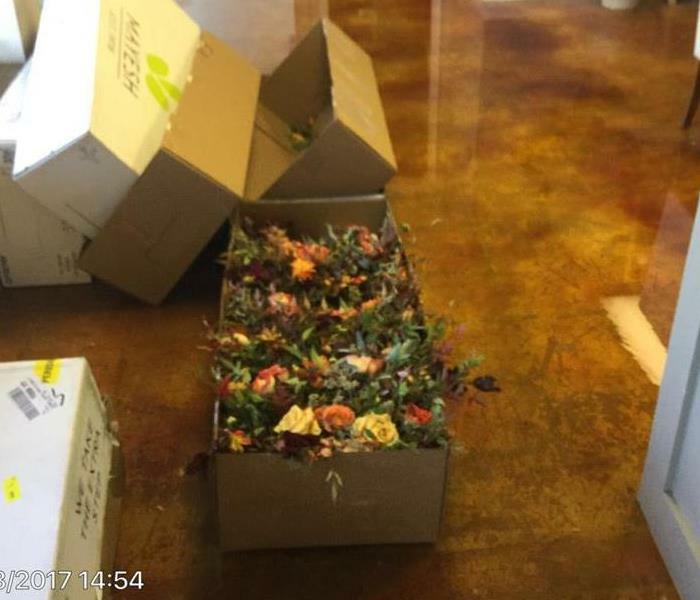 They will pack up your contents and store them for after clean up. They will ensure proper validation before returning to workspace. This is an after picture from storm with water loss to a house. 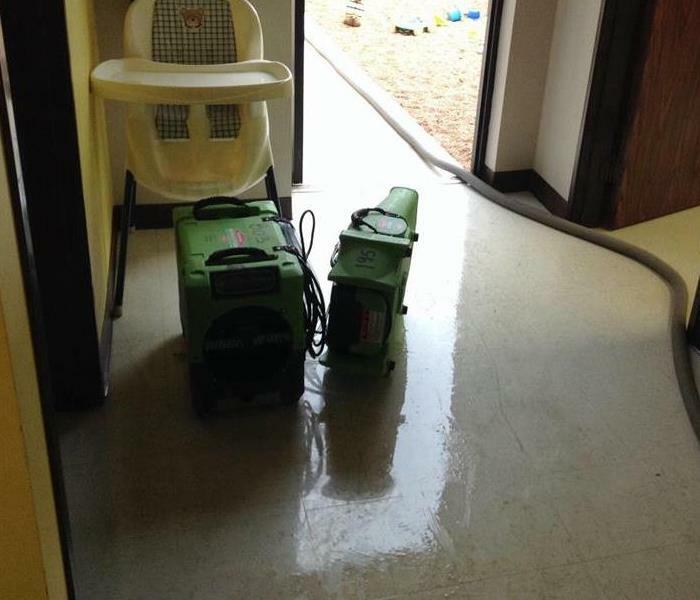 SERVPRO has experienced technicians that can extract the water from the floor. We dry off the floor can tear out any part damaged to put back to pre-storm conditions. SERVPRO has the equipment to ensure mold is contained and cleaned up as soon as it is discovered. It is important to not try to clean the mold yourself and let us do the work for you. We remove all areas effected as well as purify the air. SERVPRO has the ability to clean your content and furniture in your home or business. They have the expertise and professional equipment to ensure the mold is cleaned properly to put back in your home or business. SERVPRO has experienced technicians to control the growth of mold in your home or business. The mold can grow very rapidly if the area is not dried quickly. 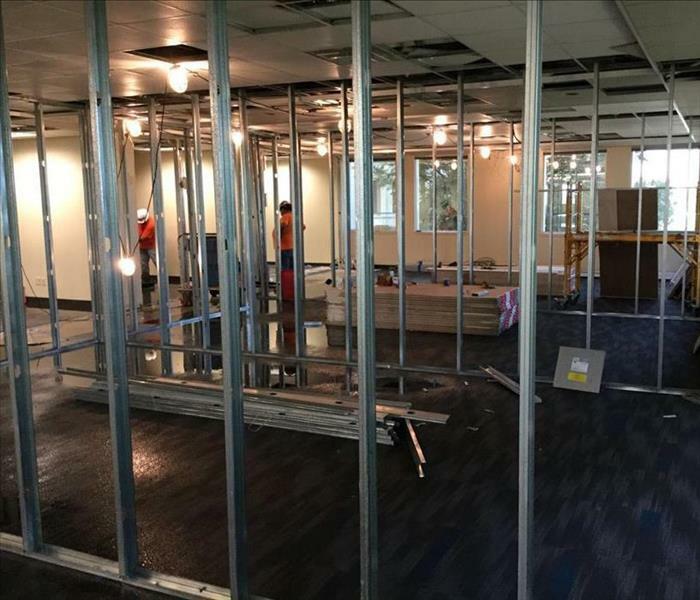 We can tear out any drywall or flooring with mold to contain. This is the after picture of a closet with most infestation that SERVPRO was called to for clean up. The technicians are experienced and have the expertise to clean and contain the mold to keep from growing and spreading. SERVPRO has trained has the proper equipment and training to restore your water property. 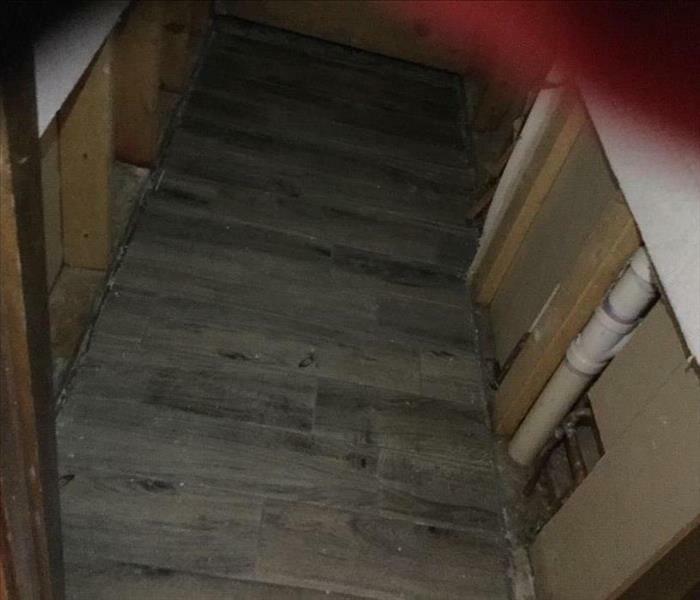 This is a picture of a hall way damaged by water. The technicians extracted the water and tore up the carpet for drying to avoid further damage. Different fans for different applications. SERVPRO San Marcos/New Braunfels has the needed air movers, knowledge, tools and other equipment for any structural drying application. We also use our carpet dryers to quick dry after a carpet cleaning which helps prevent the reappearance of staining. One of our technicians uses a hot water extraction and specially formulated SERVPRO chemicals to restore an area rug which was damaged by a water intrusion. Hot water is used to sanitize while the chemicals used remove dirt and stains. One of our crews returning from an emergency water damage. Gabe and Travis are carrying in a compact LGR dehumidifier while Leroy wheels in a large LGR dehumidifier to be sanitized and prepared for the next water damage. SERVPRO technicians cleaning area rugs in our warehouse. We can also clean rugs without taking them from your home and we have a variety of techniques which means we can safely clean almost any type of rug with fantastic results. Some carpet cleaners try to sell claims that the most effective cleanings doesn't require the use of chemicals. The truth is there are some stains and soiling agents that are impossible to remove without the use of detergents, solvents, enzyme cleaners, or specially formulated boosting agents. 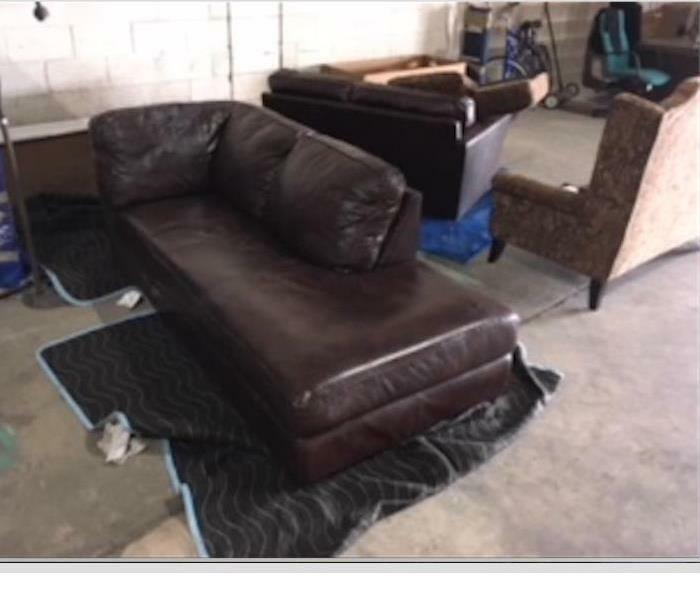 Here at SERVPRO we are specifically trained on what chemicals to use on exactly what applications and we know when it comes to removing stains there is no one size fits all process. 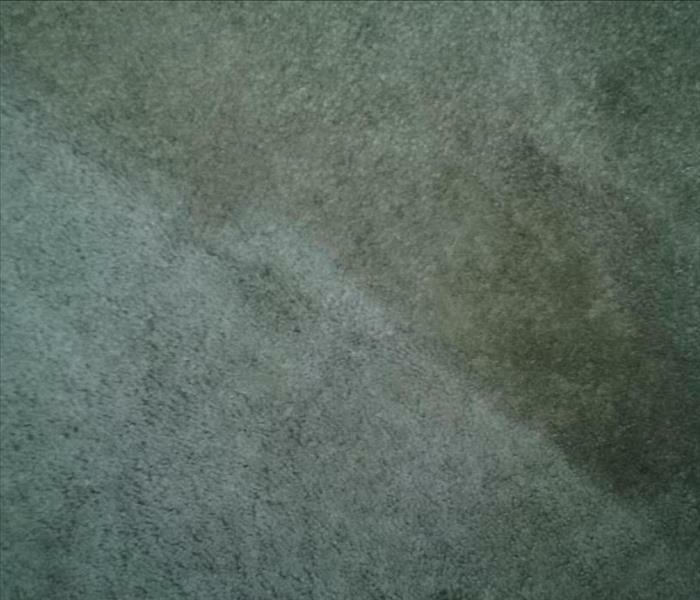 Here you see a photo of a light colored carpet which had pet urine, common soil and light oil residual staining. Look at the difference made with a single pass of our Industry Leading carpet cleaning machine after proper treatment with a SERVPRO carpet cleaning solution. We also offer GREEN chemicals for those who want to be a bit more environmentally friendly.